How to create your Own Blogger Tool Bar. Wibiya the professional Tool bar providers. Wibiya provides it free of cost. Before providing you this tool bar they take some time to review your blog. After approval your will have to submit information about your blog, Feed and social networks. And in just few click you are ready with your new tool bar. 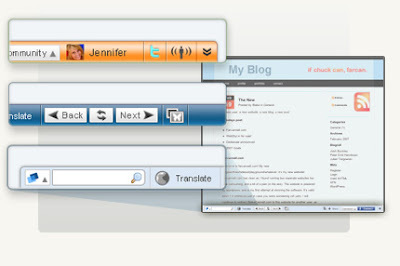 Get your blogger tool bar now and enjoy the difference in your blogging experience. Do n't you think that this toolbar is increasing your loading time.. The change looks pretty cool and i am sure that many people will definitely work. I am quite confident that many people will prefer doing the same changes to their blogs and any people will appreciate the changes. thanks for giving me the idea about installing the toolbar to our blog really it helped me a lot thanks for it great to know that it has such a big importance in it ! I am not able to register beacause i didn't get the invitation code yet !what should i do ? Nice advice. This change is good and it don't even take too much time. Thanks for this great post. Thanks For visiting my blog. Wibya Provides invitation by reviewing our blog. So visit it submit your blog and you will get invitation if they think it is worth for you and for them. Thanks for sharing the tips, I'll install it into my blog. Wow… it is great advice. It takes not more time to the instillation. The change of toolbar it’s great advice thanks for it.